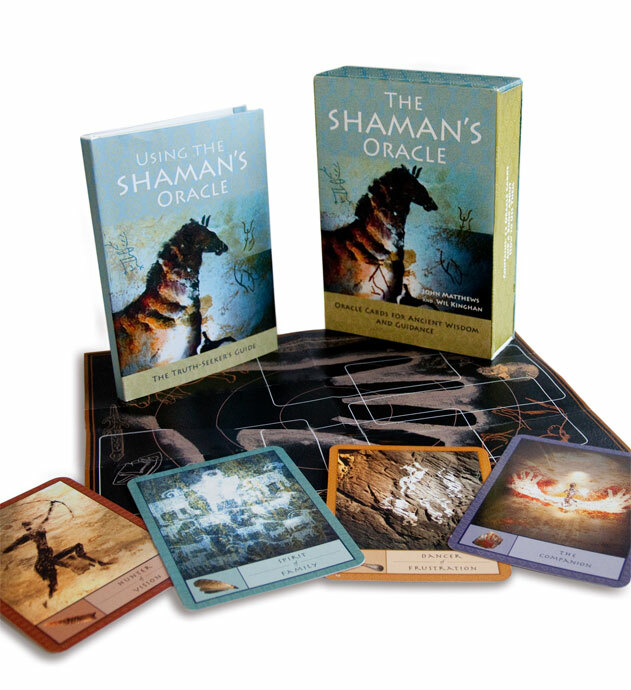 Reveal and refine your destiny with this beautifully illustrated card deck and handbook which links the powerful system of card reading with Paleolithic cave art. 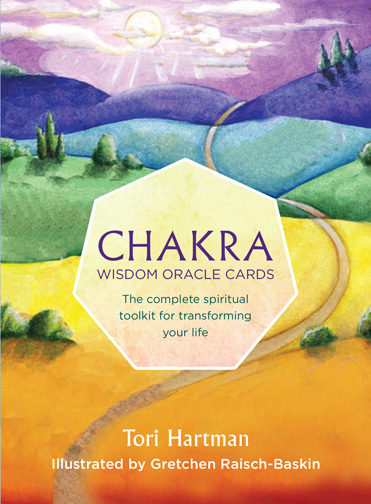 Uncover the universal messages of an art form found all over the world, and be guided by the illuminating oracles pictured on each card as you draw from the deck. 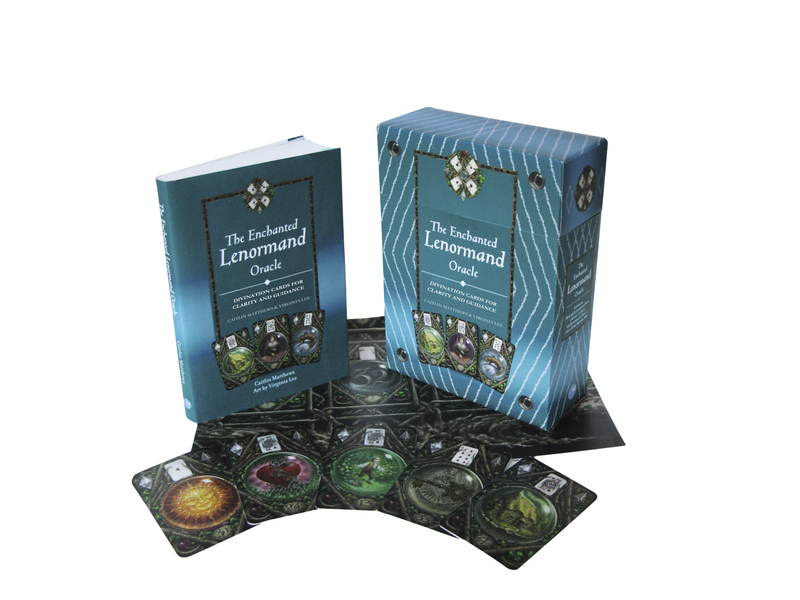 This easy-to-use handbook and card deck created by shaman, teacher and esotericist John Matthews and shamanic artist and teacher Wil Kinghan includes a deck of 52 cards, a chart showing positions to lay the cards around a human handprint and an 88-page book, Using the Shaman’s Oracle Cards: A Truth-Seeker’s Guide, which explains this powerful and insightful system of card reading linked to Paleolithic cave art. The underlying principle is that the human hand is an ideogram for the Cave Dweller’s world. The palm represents the outer world; the fingers represent five caves, each being home to one of five tribes; the red ochre surrounding the handprint represents the Otherworld, perceived as surrounding us at every point. This ideogram is set onto the rock face on which the images are typically painted and into which the Seeker journeys, or from which the spirits emerge. The 52 cards are divided into five tribes – Spirits, Ancestors, Hunters, Dancers and Shamans – each representing a different aspect of human experience. Two further cards – the Journeyer and the Helper – represent the person who is conducting the reading (the Seeker). As the cards are drawn, they reveal an oracle that will help to guide the Seeker on his or her quest for answers. The images are not only beautiful, but they also touch on the deepest memories we possess – our subconscious archetypes that deeply influence our destiny. Universal in its messages (cave art is found all over the world, in Europe, China, the Americas and Australia), this deck has the power to reveal and refine your destiny.